Being able to play changes is one thing. Building up a solo another .... Though I do not think there is a single formula for a good jazz solo I came across a few thoughts on this matter by Vince Corozine that I find useful and food for thought. It is something I have to work on myself a lot more. Build tension and excitement. Start simply and build to a climax. When you run out of ideas and have nothing more to say-STOP! Develop rhythmic variety and a mixture of dynamics and use crescendos and diminuendos for added interest. Remember that sustained notes give a player a chance to think of what to play next and gives the listener a chance to absorb what he/she has just heard. Nothing is as dull as a jazz solo that fills up every beat with notes and more notes. Fight the urge to fill it up. Incorporate material from the song and save your best “shot” for the end. 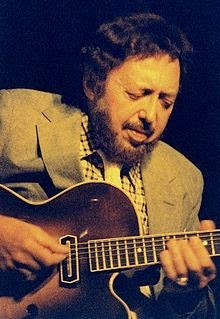 A friend posted a transcription of a truly great jazz guitar solo by Barney Kessel on his Facebook page that contains all of the above. Great melodies and harmonies, repetition of ideas, rhythmic variation, dynamics, tension and release, use of crescendos and diminuendos, riding the time, open spaces etc. etc. It's all there. A textbook example of buidling up a great solo. A master at work. Labels: what makes a good jazz solo? Here's another player few know about. 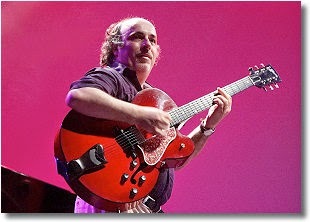 Italian guitarist Eddy Palermo is a real chops monster though. His style is very in-your-face and some state he has a tendency to overplay but I must admit ... I just love that kind of playing. Exciting stuff. I could not find much info about him on the internet except that he is teaching at a music school somewhere in Italy. Some stuff in Italian but I can't read that. Both his single line playing and chordal chops are impressive and strongly rooted in the bop tradition. So I must award him the Dutchbopper Seal of Approval. He has several albums out too. Some are on Spotify. Under the videos I added a playlist of his 2010 Album "Eddy Palermo Trio" which is very nice. He is so tearing it up on the 4th track "I Love You" Check him out! 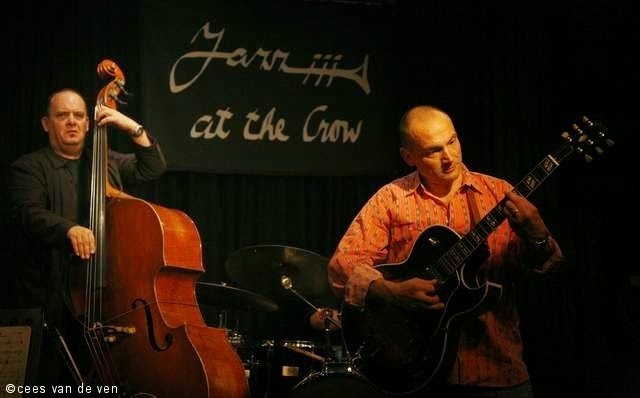 This month the Jazz at the Crow jams are celebrating their 15th anniversary. 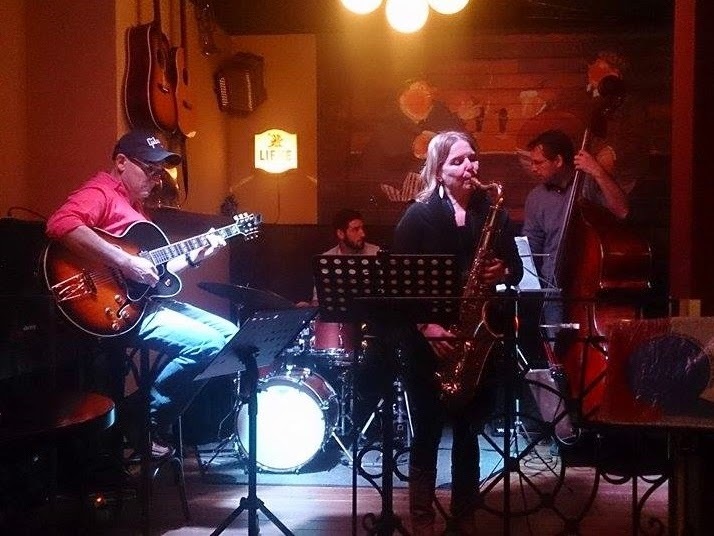 Since december 1999, the Crow jams have been taking place twice a month and they are still drawing a loyal crowd of local jazz musicians, mostly amateur but some pros too. As one of the founding fathers of the Crow jams and concerts, it is time to look back on 15 years at the Crow. I got the idea of a local jazz jam somewhere in the fall of 1999, together with the piano player of the jazz combo I was in at the time. We knew there were quite a few amateur jazz musicians and even some pros in the area and it seemed like a good idea to create a meeting place for them. There was this cafe that I had played at several times and that seemed to program some jazz to begin with and when we approached the owner, we soon came to an agreement to host two sessions every month. It seemed like a good idea, for, right from the beginning we could count on a loyal following of local players. There were few to no slow nights at the Crow. After a year, on 12 december 2000, we celebrated our first birthday with a guest appearance of Jesse van Ruller and the idea of "special guests" was born at that time. We started looking for sponsors to afford them and formed a team to promote the Crow activities in a foundation called "Live Jazz Promotions." The following 3 years at the Crow were very exciting and inspiring and, for me, absolutely the best years at the Crow. 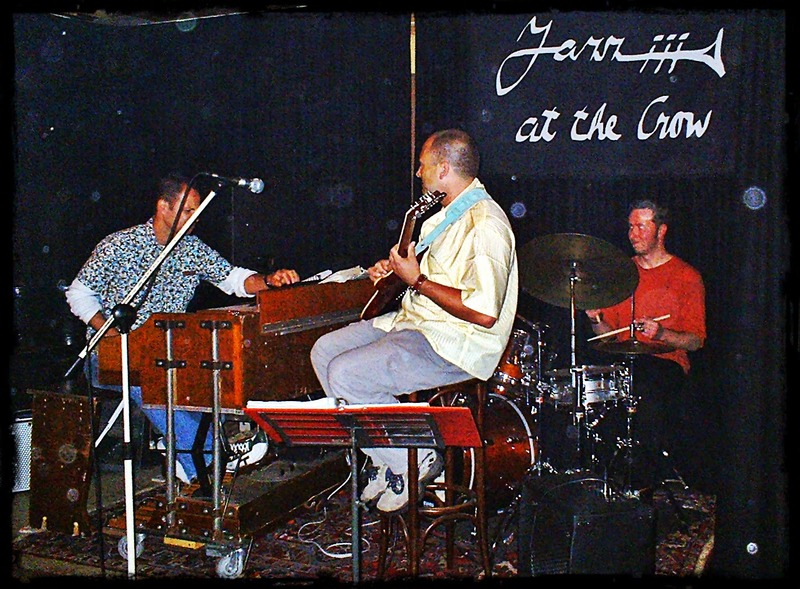 After Jesse van Ruller in 2000, I jammed with such Dutch jazz greats as tenors Yuri Honing, Ferdinand Povel, and Hans Dulfer, bassist Tony Overwater and guitarist Anton Goudsmit in 2001. That year was really a highlight in the Crow history. 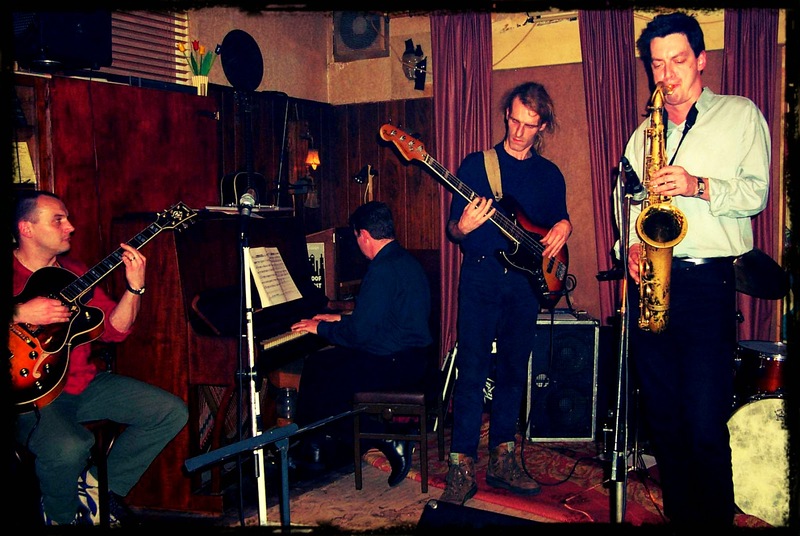 The house was often packed and there we were, a bunch of jazz rookies playing with the creme de la creme of Dutch jazz. This went on for a few more years. I got to play with trumpet player Eric Vloeimans, Hammond players Arno Krijger and Carlo de Wijs, jazz singer Carmen Gomez, drummer John Engels and bass player Hans Mantel, all of them big names in Dutch jazz. Meanwhile one of the members of our foundation started programming concerts next to our jams and I attended many great concerts over the years too. The Crow actually became a genuine jazz stage. 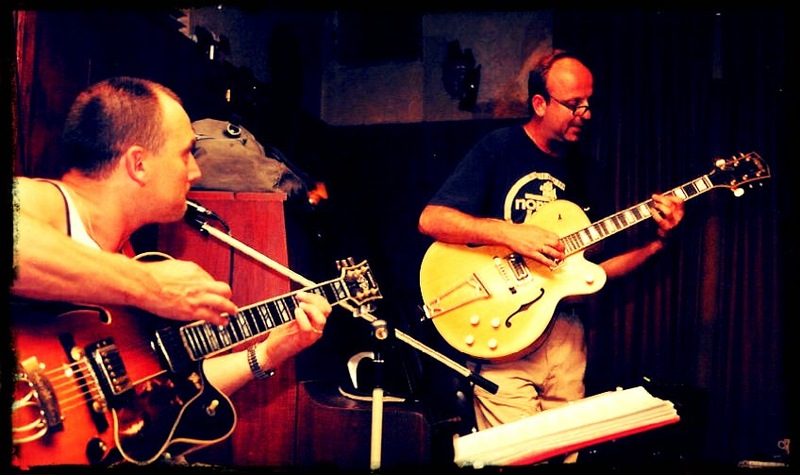 In addition, we held jazz guitar nights and later even jazz clinics were organised. I created a website with live recordings at the Crow that were streamed by people all over the world in the early 2000s. I left the organisation somewhere in the mid 2000s. Somehow we stopped inviting guests at our jam and the emphasis of the foundation shifted to programming concerts, which I had very little interest in. The jams went on but over the years I stopped going more and more because I felt it was more of the same thing every two weeks. Nothing wrong with that, but I wanted more. In 2008 I left the local jazz scene completely for 5 years, after some disappointing experiences. 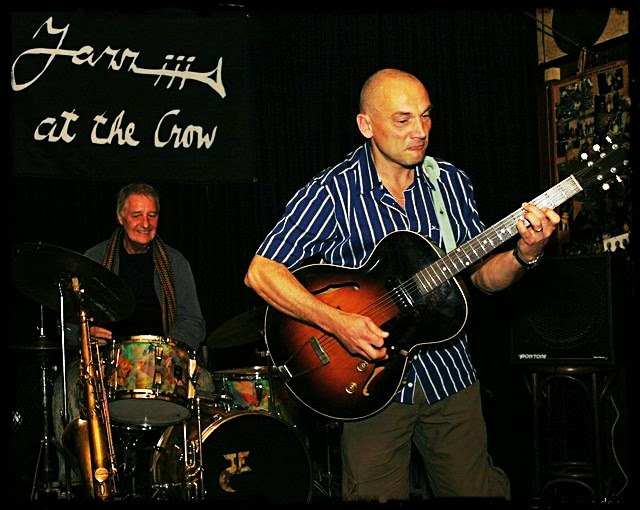 Meanwhile, other people took over hosting the jams and though the jazz concerts stopped too a few years ago due to declining audiences and difficulties in finding sponsors, the initial idea of a local jazz jam stage is still going strong at the Crow. When I returned from my jazz sabbatical in 2013 and started to play at the Crow again, many of the original players of the first years had left but new and young players still show up regularly to fill in the gaps. These days I have moved on to new things. 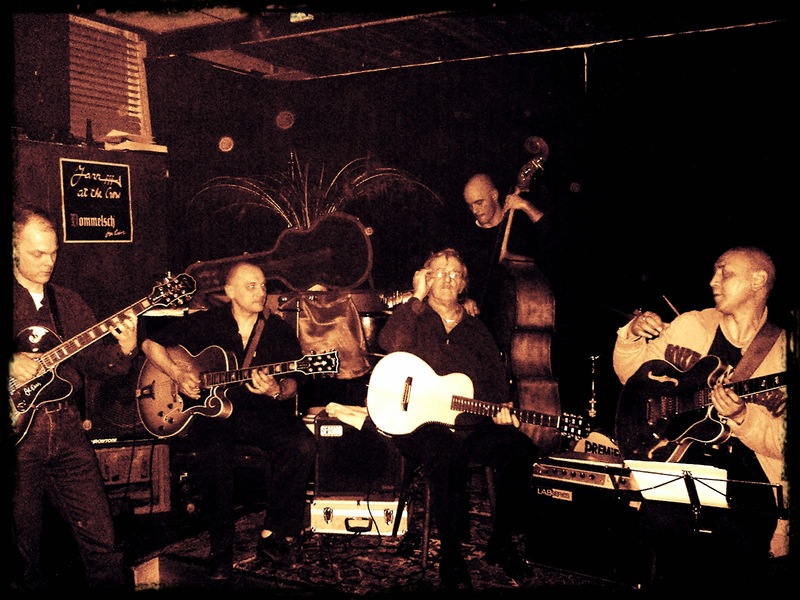 I host my own jazz jam in a different town and I play with different people and even feel quite different about jazz music but the Crow jams are still very much a part of my personal history. "A bit like your kid", to quote a friend. And we all know kids go their own way after a while. Always keen on finding new van Iterson footage, I came across this beautiful solo rendition of "You Don't Know What Love Is." Apparently it was recorded during a living room solo concert. Not entirely sure about that. The video quality is excellent, you can watch it in HD. What a master. P.s. I just added another one: "Giant Steps." Every song is available in two keys (for high and low voice). 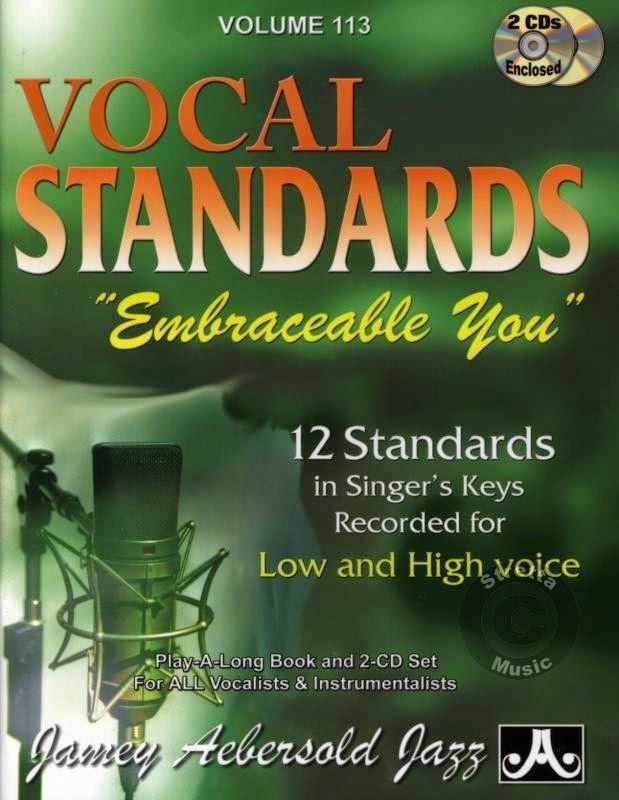 Body and Soul (C/A); When I Fall In Love (Eb/C); I Can't Get Started (Bb/G); I Could Write A Book (Bb/Ab); Embraceable You (F/Db); Love Is Here To Stay (Eb/C); I Only Have Eyes For You (A/G); I Didn't Know What Time It Was (F/D); Dancing In The Dark (Eb/C); I Thought About You (C/Bb); Someone To Watch Over Me (C/Ab); Where Or When (Eb/C).